We believe that international, third-party certifications of all our activities are the most effective means to provide our customers with objective assurance that our forests and operations are managed in a responsible and sustainable manner. Forest certification systems provide independent verification of compliance with provincial and federal forest management laws and regulations; ensure that internationally recognized sustainable forest management standards are upheld; and that wood products originate from well-managed forests. Forest Stewardship Council® (FSC®) and Sustainable Forestry Initiative® (SFI®) certifications are benchmarks in environmental stewardship and social responsibility for forest management practices. ISO14001 focuses on environmental management systems. The International Standards Organization (ISO) is an independent, non-governmental organization that brings together experts to share knowledge and develop voluntary, consensus-based, market-relevant international standards that support innovation and provide solutions to global challenges. ISO14001 specifies requirements for an environmental management system (EMS) to which an organization subscribes to improve its environmental performance. EACOM maintains ISO 14001:2015 certified environmental management systems for its forest operations in Québec and Northeastern Ontario. To find out more about ISO 14001, go to http://www.iso.org/iso/home/about.htm. The Forest Stewardship Council® is an international, independent non-profit organization that sets global standards for responsible forestry. FSC® standards address important economic, social and environmental concerns in the forest products industry. The main tool for achieving this mission is a product-labelling system. In Québec, EACOM holds FSC® forest management certification for two territories: Val-d’Or (Management Unit 083-51) and Matagami (Management Units 086-63 and 86-64). 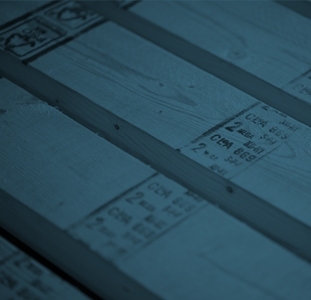 EACOM also holds FSC® Chain of Custody certification for all sawmill facilities and secondary transformation mill in Québec and for all sawmills in Northeastern Ontario, making it possible to track products from forest to shop counter. You can consult all documents pertaining to EACOM’s FSC® certification by clicking on http://info.fsc.org. To find out more about FSC®, go to https://ca.fsc.org/en-ca. The Sustainable Forestry Initiative® (SFI®) is an independent, non-profit organization dedicated to promoting sustainable management of North American forests and responsible global procurement practices based on 13 principles including maintaining forest productivity and health, protecting water quality, biological diversity and special sites as well as training and education, supporting research and broadening the practice of sustainable forestry. 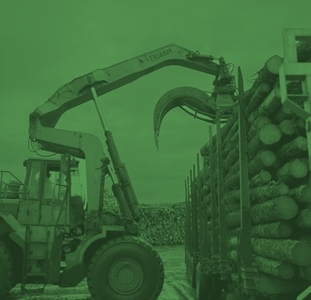 In Ontario, EACOM holds SFI® forest management certification for the Pineland and Spanish forests, as well as SFI® Fiber Sourcing and Chain of Custody certification at its Ontario sawmills. In Quebec, EACOM holds SFI Forest Management certification and SFI Fiber Sourcing certification. Maintaining an open dialogue with stakeholders and encouraging public input in the management of our forests is consistent with both EACOM’s Forest Policy and the requirements of FSC® and SFI® certifications. To obtain additional information on any of the following topics, please contact the certification manager or consult the relevant documents, as applicable. Forest Documentation Certification Certification No.